March 6, 2015, New York – Fashion One, the premiere fashion, entertainment and lifestyle international broadcaster, welcomes the new season with a selection of the best of Spring 2015 Trends, from top fashion designers, that made the biggest impact on the runways. From a fresh direction of the sporty look, a flash of the seventies, to the new festival girl, keep up to date on the trendiest ensemble to flaunt this springtime. Spring 2015 sent forth a fierce line-up of both commercial and enticingly crafted collections that offer diverse selections to suit each personal taste and style. Designers have truly boasted their craft in this season’s dashing wearable pieces, revealing a refreshing play of colour shades, textures, substance and silhouettes. If last season had plaids, this term is all about the gingham style. With Ashish casual tops paraded in Paris Fashion Week, Ralph Lauren and Michael Kors collections’ dresses and skirts, to Oscar de la Renta’s blown up patterns, this fashionably laid-back versatile design can be seen on shorts to fur coats. The best part of this classic “American table-cloth” gridlock pattern is that it can be worn anywhere! Don’t be afraid to mix & match the various trends to achieve your own unique look. Hope you will enjoy this season’s trends list. 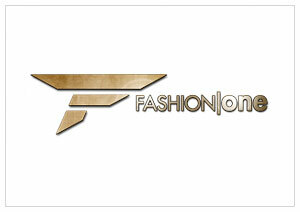 Spring 2015 Trends premieres on March 24, Tuesday at 21:30 (GMT+8 for Asia / GMT+1 for the rest of Europe) exclusively on Fashion One and FO. Check your cable operators for your local TV channel listing. Check your cable operators for your local TV channel listing.